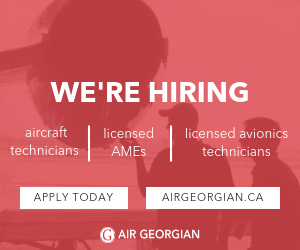 This forum has been developed to discuss aviation related topics. Sorry, having trouble embedding the URL properly but if you check out this particular thread you should find what you're looking for. 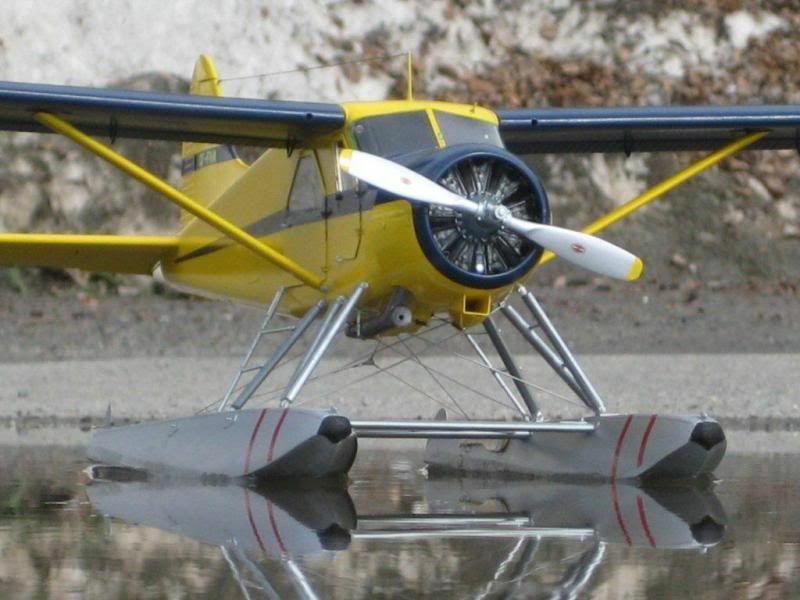 Have a look at these guys: https://niceairplanes.com/ . 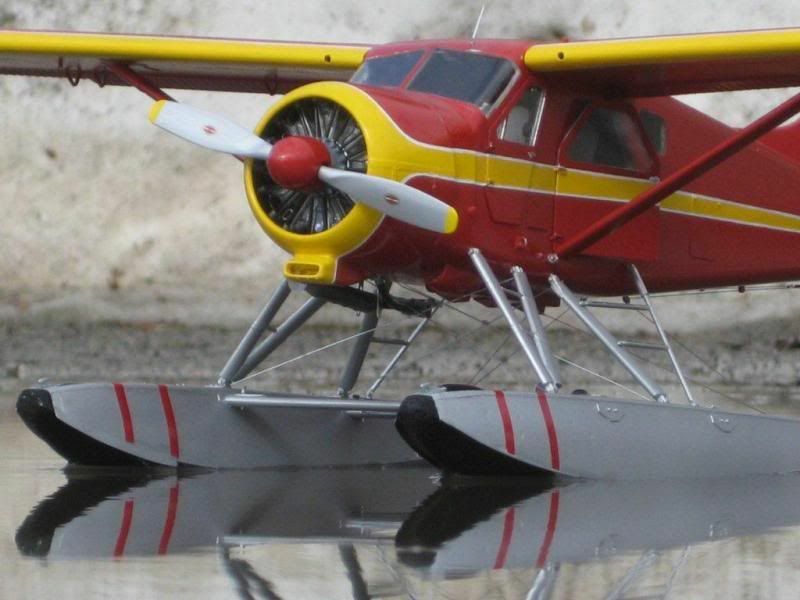 Be sure to check out the airliners and floatplane sections, incredible detail. 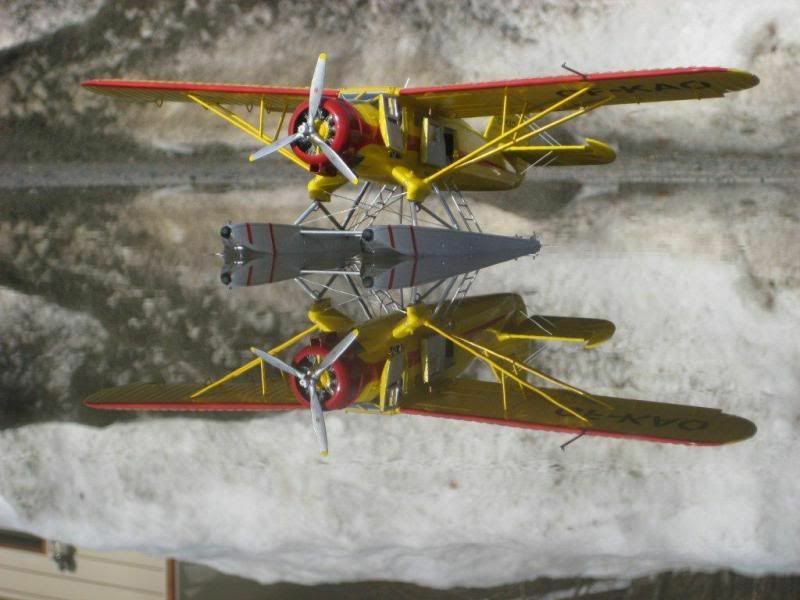 I believe that they have also done some work for the bush pilot display at the Yellowknife museum. I have bought 4 from this gentleman and the price was $210.00 including shipping. It takes about 4 months to complete however they are totally custom made to your specs. I am all for buying local, in fact I generally give the local retailer a 10% leeway... for example if the local shop could give me the model for around $230 - $240 I would buy it from them, if not then sorry but I too have to put food on the table. Thank you for the quick reply guys. Lurch; I agree with you 100%. I will do my best to do so. Double Wasp; Thanks for the info. I also saw your post in another thread regarding this same topic. I'll check them out. YYZSaabGuy; I figured out your link. Had to add http://www.avcanada.ca/forums2/ in front of it. That was a ton of help. Having said that, I should of done a search before posting. Sorry all. Your told correctly. I bought a beautiful King Air in Borek colors and it cost me less then half what you pay local- funny enough they supply some of the bigger local stores. 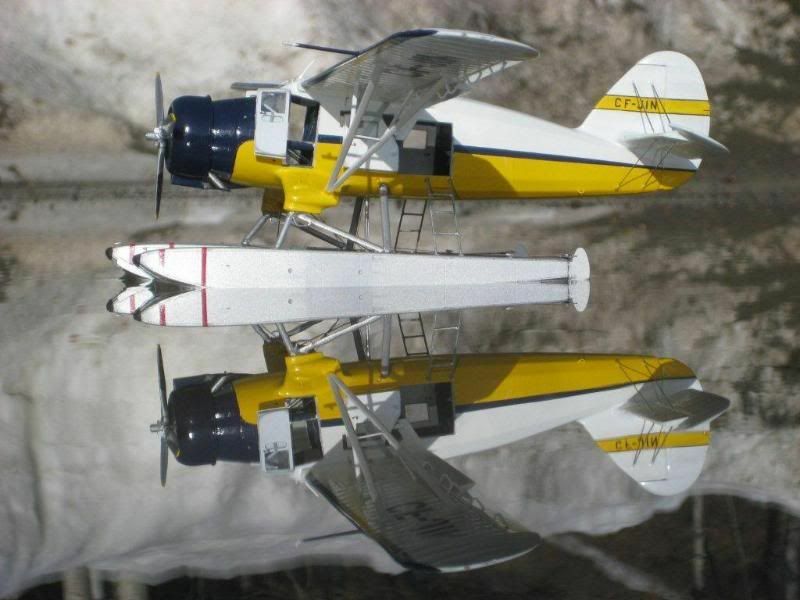 Check out Aim high model airplanes.com send them photos of paint you want if they don't already have it. I'm going to get a 737 done up. I have quite a few painted custom-made models on my desk from the Philippines, that I had made when I used to fly there. But for the beauty of wood grain (varnished but not painted), Vietnam seems to be the place where they are making them. A couple of years ago I saw a gorgeous wooden model of a Boeing 787 for sale at one of the gift shops of the War Remnants Museum in Ho Chi Minh City for about $20 or $25 USD. I promised myself that I would return to buy it before leaving Vietnam (we were packpacking, so I didn't want to lug it around inside the country) but then our plans changed and we were unable to make it back to Saigon. Does anybody have or has anybody saw the wire ones comeing out of Luanda? Most were getting the dirty double made. Not at all like a wood model but all the same pretty unique. navajo_jay, behave yourself. Why do you have to assume that critical engine is a male? I am just going off the assumption that it's a photo of herself with a sister, friend or coworker. People can't help the way they look and we need to show them some respect. Stick with the home-grown ones. Where did you have them made? Yeah, but the pics were taken by a guy in Whitehorse in a pond in his back yard. I bought these models while instructing in YMJ 2002-05. Delivered for $180. The guy doing the ordering, worked with me at Bombardier YMJ, had a deal as he was also ordering all the Hawk and Harvard II models for staff and students in YMJ plus any others people wanted. Hi - it’s now 2018! And I’m looking to have a custom model made. Is anyone able to speak to event experiences with any particular provider? I have a few on my list of potentials, and am planning to order soon. Just wanted to hear a personal and more recent review of anywhere!! Years ago I had FDM... https://www.factorydirectmodels.com/ replicate a Learjet I flew. They did a great job! Wow! That’s great! FDM is on my shortlist of places - I really appreciate the review. Do you happen to know what size that would have been?? Highly detailed, and built right to your specifications. Pricing includes shipping and shipping is done in tightly wrapped boxes with laser cut foam. The detail they put in is insane. I have four models from them...so far. I just received my Global Express XRS model a few weeks ago that I ordered back at the end of May. I ordered it from Model Buffs (modelbuffs.com) in the Philippines... You can look them up on the Internet and see their history. Their standard custom made/painted models of the Global Express is IIRC a 1/16th scale and goes for $240 USD. However I wanted a much bigger version, a 1/50th scale version which they were willing to do (or any size actually) but the price goes up accordingly. The details are amazing and I actually told my cleaning lady to NEVER touch or dust the model because of all the small details like the pitot tubes which could be easily broken. Very happy with the model. FYI... You can get a Global (or any of their aircrafts) in a 1/55th scale size (or smaller) from Bombardier. They order them with a California based company that makes all their model aircrafts. They make them out of some sort of solid plastic but are no way near the details of my model's finish. Also they only come in the Bombardier paint scheme (no custom paint job). The regular price for a 1/50th scale model I was told is $1000 CAD regular but they offered a 20% discount, so $800 CAD since were are a customer of theirs at the training centre in Montreal. In a 1/50th scale size, the model is about 24 inches by 24 inches. 13" wingspan and 16" fuselage nose to tail. It has all the external antennae and pitot tubes. Very detailed!